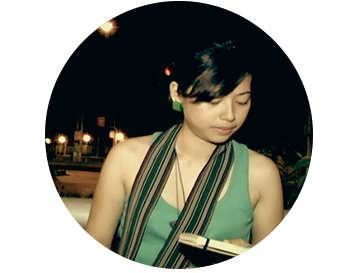 DAYO is a Manila–based, small multi-disciplinary design studio with a passion for art & visual ideas. design solutions for identity and branding development, art direction, printed communication and web design. are our core principles and it reflects in what we do. We also believe that communication is key to world peace, and of course, to the success of every project. to get our hands dirty and do some good ‘ol art session. If you wanna go crazy and would like to try the unconventional, we’re all ears! DAYO is run by husband and wife graphic designers, Kaloy and Chung Aganinta. The go-to guy for all things design. 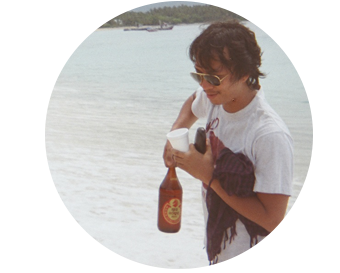 He also plays percussions for the band Dayaw and hopes to sail on his own paraw someday. In charge of the daily mambo. Rumor has it that she still bathes with her rubber duckies.